For the first time in my 20+ years of collecting, I have decided to change the way I sort things. Just like anyone else who collects, you always take out certain cards for your PC and leave the rest to either sell or trade. The problem with me is, I keep the rest along with what I take out. You may call that hoarding or if you are like me, you would call it collecting. Either way, it's the rest I need to focus on re-sorting. Right now with the leftovers I sort them by number, year, brand and label them in boxes. This is obviously a time consuming way to do it, which is why I am going to switch things up a bit. What do I plan on doing instead? It's as simple as taking out the star players and sorting the rest by teams. Doesn't get any easier than that.That way when I go to look something up or find something for someone, I will know exactly where to go. I will be using index cards in big count boxes to keep them separated. I also figured while I am digging my collection apart, I would take care of a couple other projects as well such as sorting my rookies for basketball and baseball by team like I have in football. I have been struggling looking for certain players without them being by team and with multiple binders it is not an easy task. I will try to post an update on my huge summer/spring project as I go. It will be a long daunting task but hopefully it will pay off in the end. However, I may find some fun cards to show off along the way for you guys which I am pretty sure you would be excited about. By the way, do you guys think it's a good idea to undo all of my cards by number, year and brand or should I keep it that way? Or do you agree that I need to switch things up Opinions are always welcomed! Leave a caption below for this card. Please keep it free of language and clean please for our younger audience! This Mail Day Is On FIIIIIIIIIIIRRREEE! 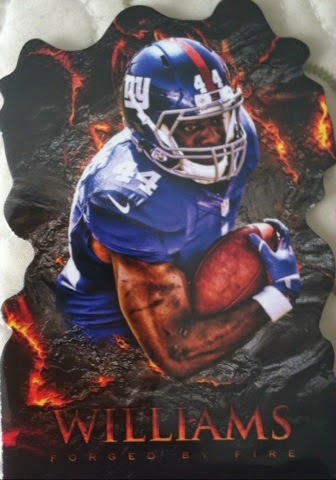 Back in the fall, Topps began to release images of an upcoming product called Topps Fire. Now, usually I am not into products like this and at first was not impressed. But, as more and more images began to come out, there was just something eye appealing about it and I knew someway or another that I needed to get some cards from it. That's when I saw @RJDUB81 post his results from a case break last week he had participated in with that product in which he had his team, the Broncos and mine, the Giants. 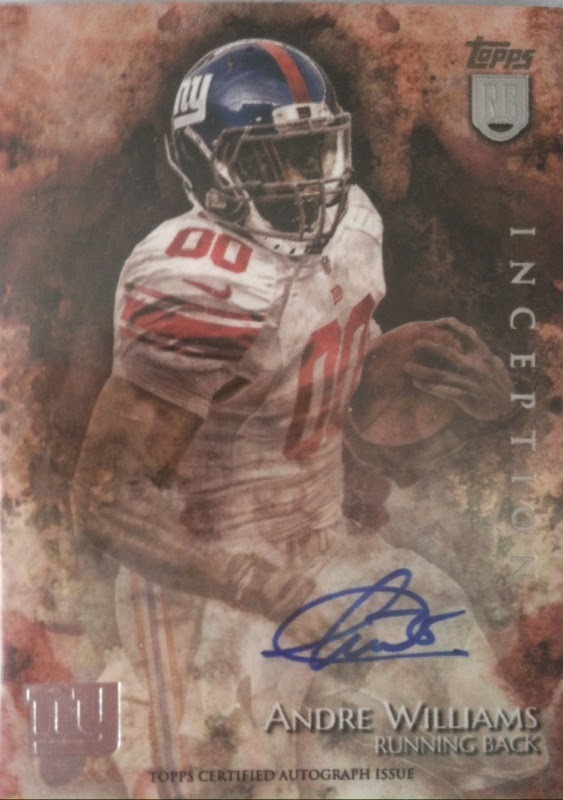 He not only had tremendous results including an Odell Beckham Jr. autograph, but had other cards that I really wanted as well. I immediately contacted him about a trade and we figured one out within a couple of days in which we both were extremely happy with. 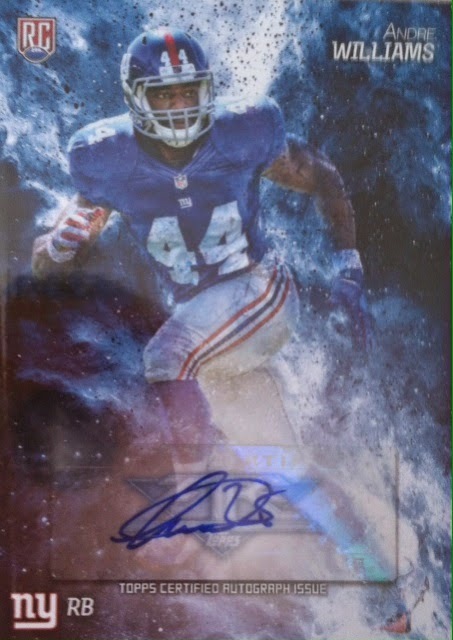 I couldn't quite pull the Odell autograph away as he already had plans with it, but I did get some tremendous cards anyways and couldn't wait for them to come. Well, today was the day they arrived! Now let's see what I was so excited about! 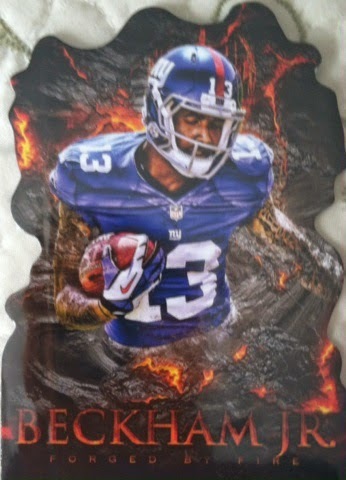 Here is the Odell rookie. 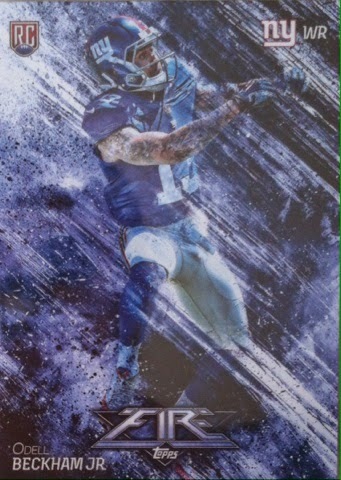 I like the team color schemes they did and the blue with the Giants, but I find the way Odell is posed in this one not great. It makes him disappear on the card. I would rather have seen a full photo on this. Then included some parallels. They look great too. And the inserts. I think these look great. I think they could have even pushed these a bit further by adding a "raised" feature to the items in the background. That would have taken them to another level! Same with these. A "raised" feature would have been cool. Now onto the hits portion of this mail day. 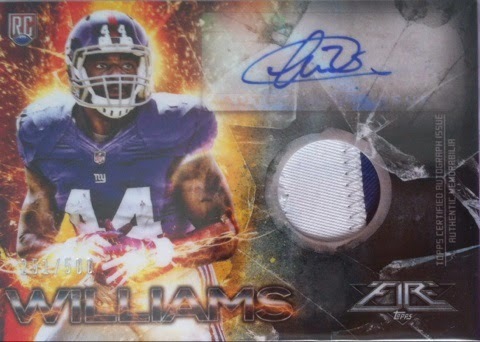 A nice looking jersey card of Williams to the PC. A design like this helps take away the fact its a plain white swatch. And an auto!!! Looks tremendous! 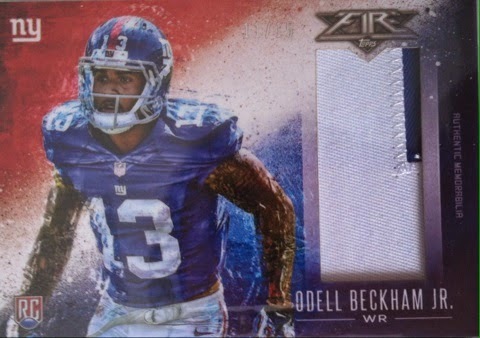 Now a really sick patch that's numbered to 15! It's also Odell to boot!! Nice looking patch against the color scheme. 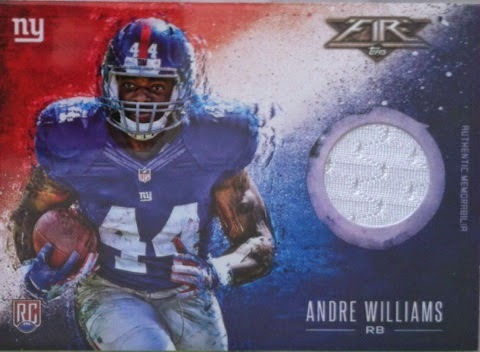 And my favorite card of them all, the Andre Williams auto/patch! 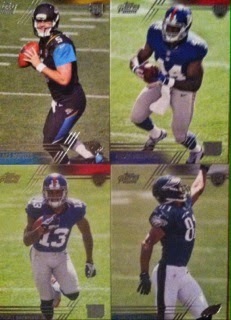 A really nice mail day overall with 5 new Andre Williams to that PC and a sick looking Odell patch. Also, now that I have some of these cards in hand, I am even more impressed with the product! 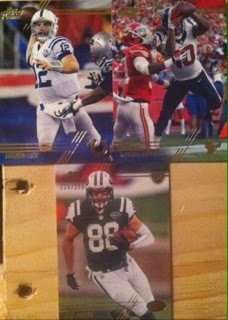 A big thanks goes out to @RJDUB81 for the trade! I look forward to doing future deals with you. In 2001, Upper Deck dedicated a product to the New York baseball teams Mets and Yankees called Upper Deck Legends Of New York. As the product is called, it sums up all of the legends in those teams histories. 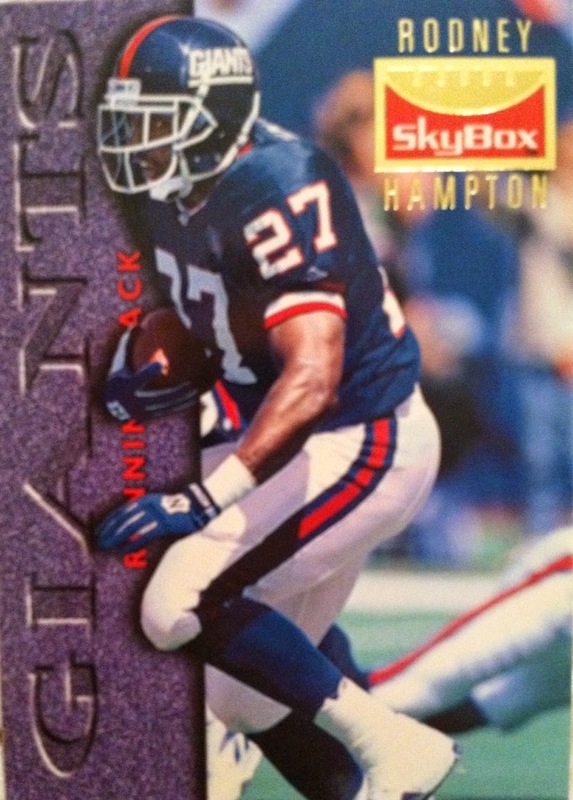 This is one of my favorite cards from the set. 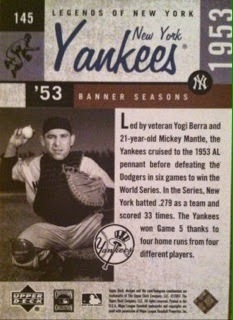 I really like the photograph of Yogi they used, the text and the layout of the card. 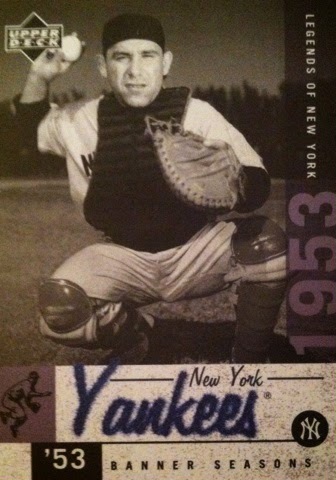 Another thing I like about these base card is the "fuzz" feel in the writing Yankees. 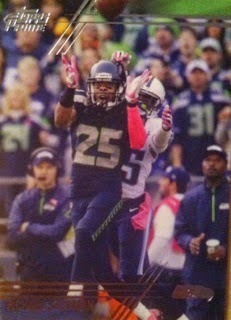 I don't know what it is about the fuzz that catches my attention, but it just adds another fun feature to the card. Social Media and the internet. Has social media and the internet helped or hurt the hobby? Leave your thoughtful comments below! 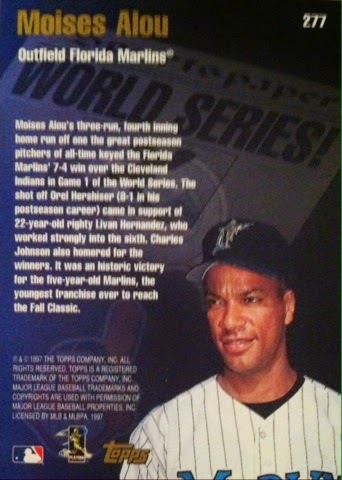 In what was a very memorable 1997 World Series between the Indians and the Marlins, in which was the Marlins first championship,fTopps commemorated the Series the following year in their 1998 Topps product. They produced these cards with some silver foil so they stood out amongst the base. 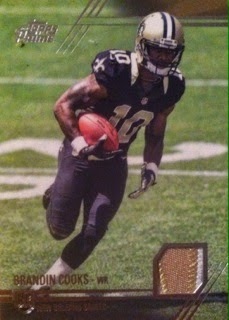 Something I wished Topps would do again. This card in particular, is from Game 7 and celebrates Moises Alou's big home run in the fourth inning which was the key of the game to help the Marlins win. For someone who had never traded online before, I have really expanded on that. In the last few days alone I have accomplished four trades with two more in the works. Most of these trades are done with the same people, except the two that arrived today. They are new to my trading circle, but people I knew I could trust. I will not trade with just anyone as I do my research. However, Jamie and Bryan have been readers of this blog forever and participate with the blog in many ways so I already knew of them. In the cases of our trades, one contacted me about a trade while the other I contacted. No matter how these trades started, we all were happy in the end. First, let's show off the cards I received from Jamie. 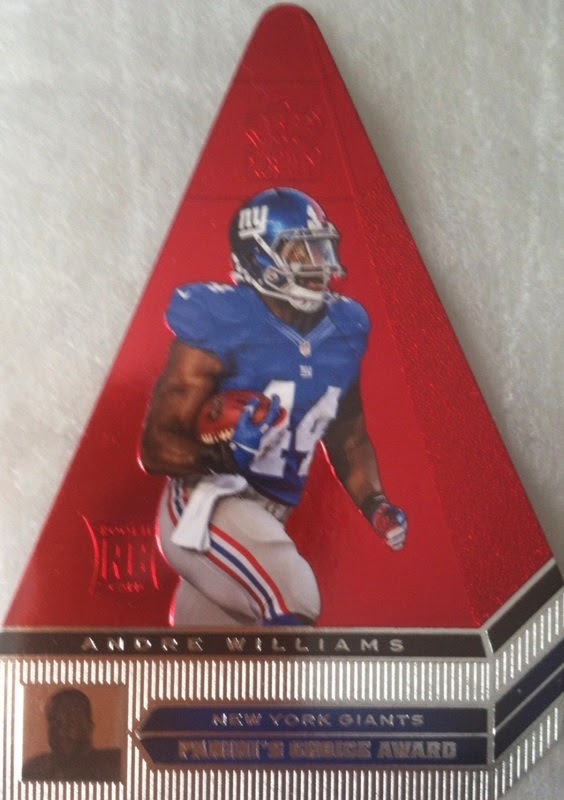 This is another nice addition to my increasingly growing Andre Williams PC. As soon as he tweeted this card out, I had to have it. This is my third Williams auto in just a few weeks. Jamie also threw these two in. Love the Eli! And this guy is set to have a big season. 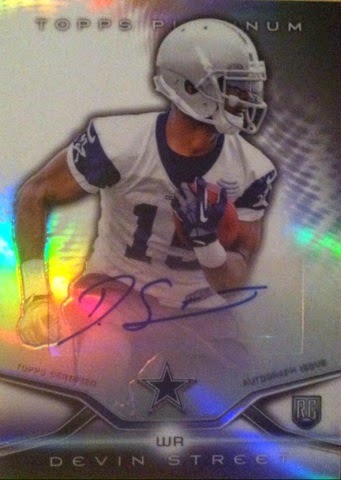 Sweet auto card of his! Always like Platinum! That was a very successful first trade with Jamie. Would definitely trade with him again in the future! 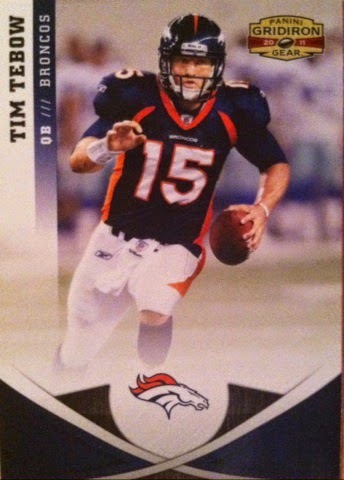 Now onto my trade with Bryan.You might also know him from or as 90's Niche Football Card Blog. If you haven't already yet, give his excellent blog a view and even add it to your read list. 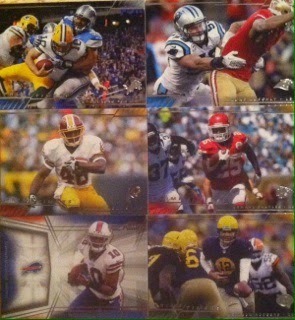 I had a couple of Green Bay Packer cards he wanted to add so he dug out a few Giants for me. 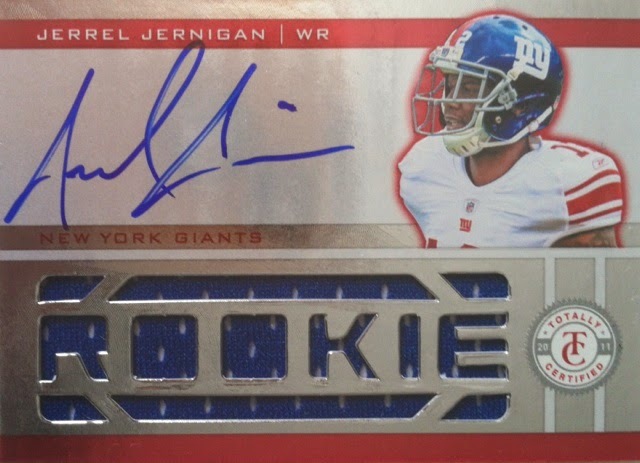 Another Jernigan auto for that PC. I hope the Giants retain him. Eli! Really like the look of Crown Royale. 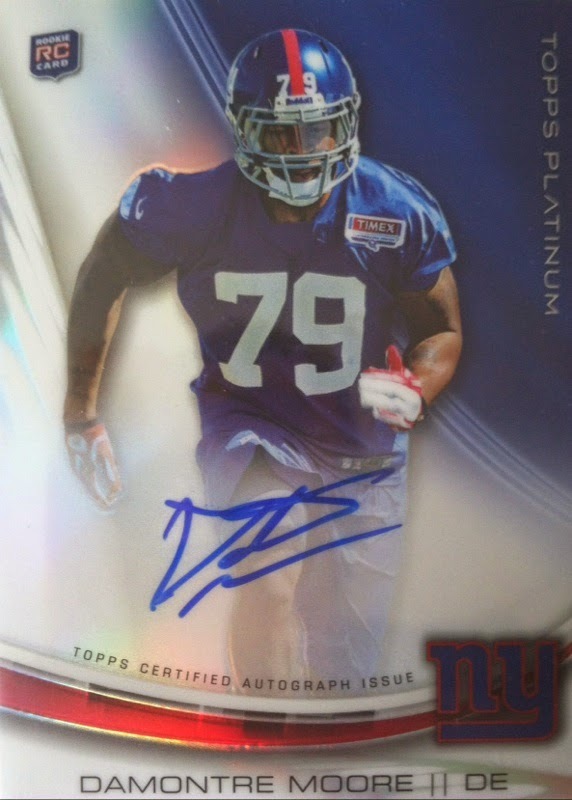 Like I said about Andre Williams, it's a growing PC. And love the shiny stuff! Nassib I think will have his day someday. A nice trade with Bryan as well. We are already discussing a second trade. Overall, some nice additions. However, I think I might be coming to the realization that out of all of the things I collect, the Giants are becoming my main focal point. 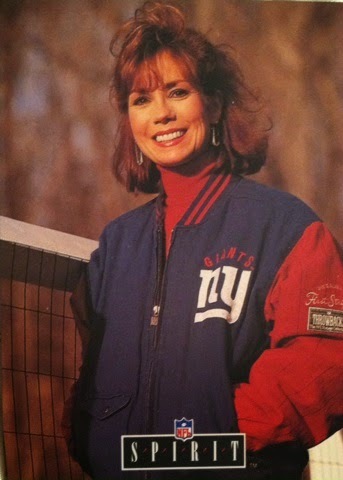 Which makes sense, I watch football the most and am very passionate about my Giants. But, despite my realization, I still plan on collecting as I always have. You know, everything. First off I wanted to ask you guys about this, What do you guys think of that statement? Do you agree? Should base cards leave the hobby? Now, here is my take. I think in today's hobby of hits, mojo and big pulls that base cards do play a much less significant role, but as for them not playing one at all anymore or not being needed, I don't see that. There are still, though very few, set collectors around. 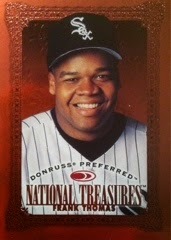 There are also team and player collectors who do both hits and base such, I know I still do. I think these types of collectors alone are enough reason to keep them so my immediate response is to keep them. In my opinion, I don't think base cards are really the problem, I think the problem is, the companies that are making them. 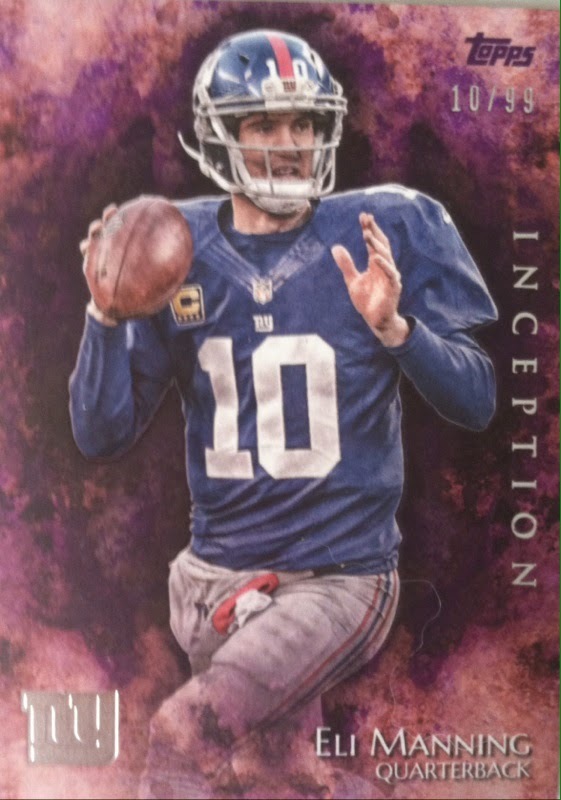 The biggest problem with base cards right now is the lack of innovation and design with them (I feel the same way about inserts but we can save that topic for another day). Most are now usually printed on thin card stock, have either a white, silver, or artsy background, and the ones that have nice photography are usually gobbled up with borders. To me, most feel like fillers in a pack which is why a lot of collectors rummage through their packs looking just for the hits. I like creativity and I know others must as well. 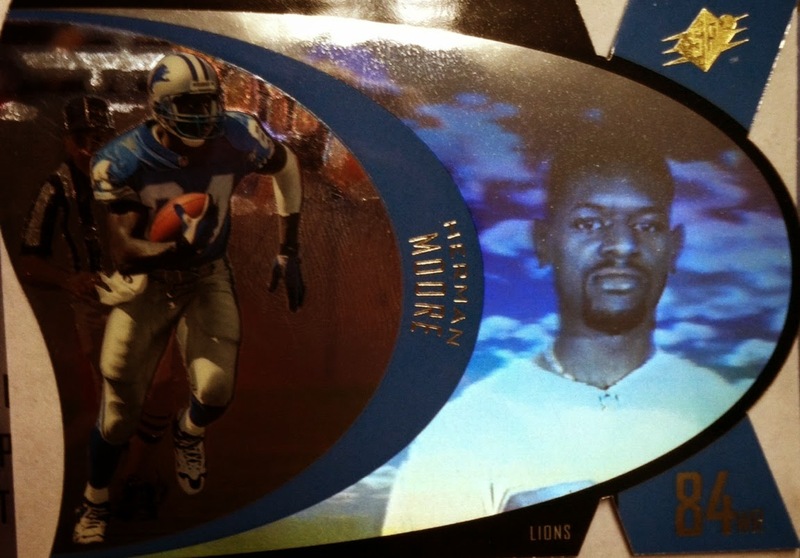 What happened to using acetate or holograms? What about thicker base cards with foil? 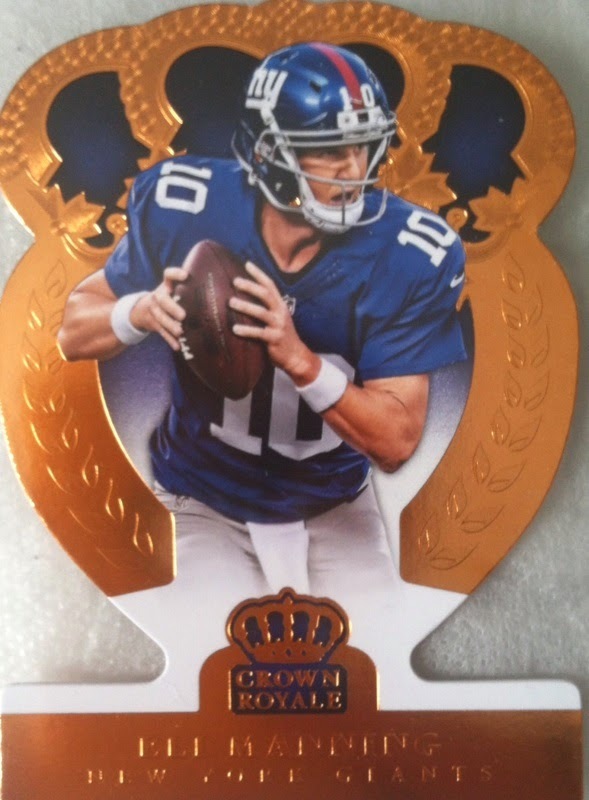 Die Cuts? What about ones with little border and full-blown photography like you are at the game? Spend more than five minutes on a base card design and add a little innovation. I think companies would be amazed by the difference and maybe see an increase in sales with certain products and maybe a boom in base card wants. 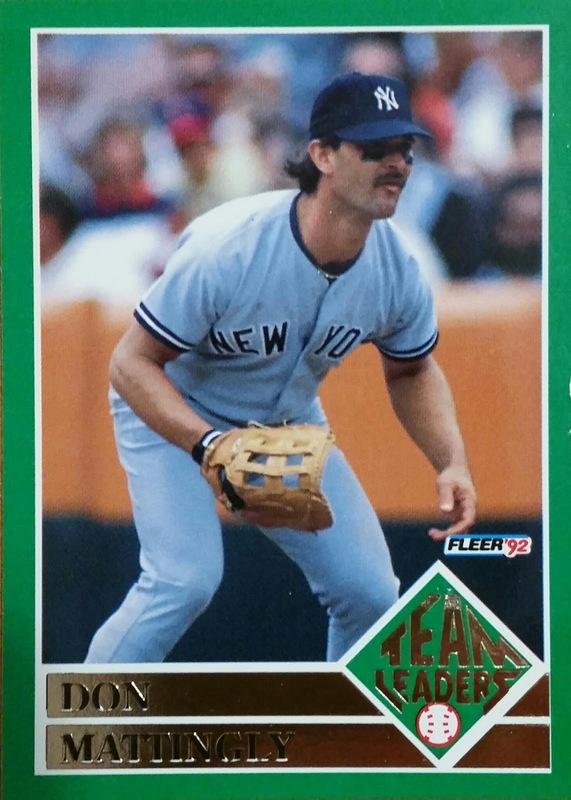 Another problem is a lack of players in base card sets right now. 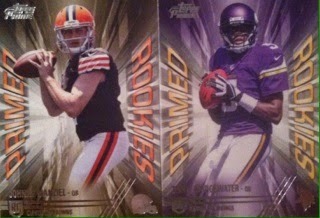 Most base card sets consist of 50-100 cards and in most boxes you can easily put a set together or two if you choose. Where is the fun and chase in that? Why not add more players than 2-3 of each team? There are more players than that on a team that make a significance. 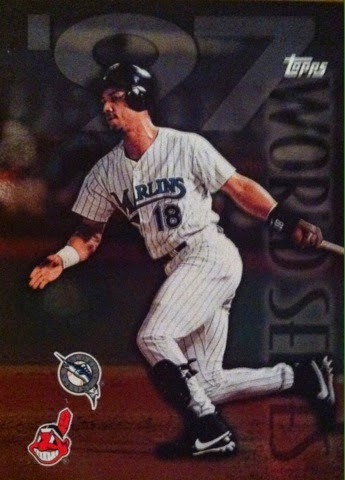 Why not add some Sp's in the base card set? You know, subsets that fall 1:4 packs so you don't get the complete set in every box. And before you mention it, no, I am not talking the annoying sparkle or photo variations. I am talking subsets like All-Star or MVP's or something along those lines. Maybe even number them to 1999 in mid-end products. There is nothing more us set collectors enjoy than bigger sized sets and a challenge. 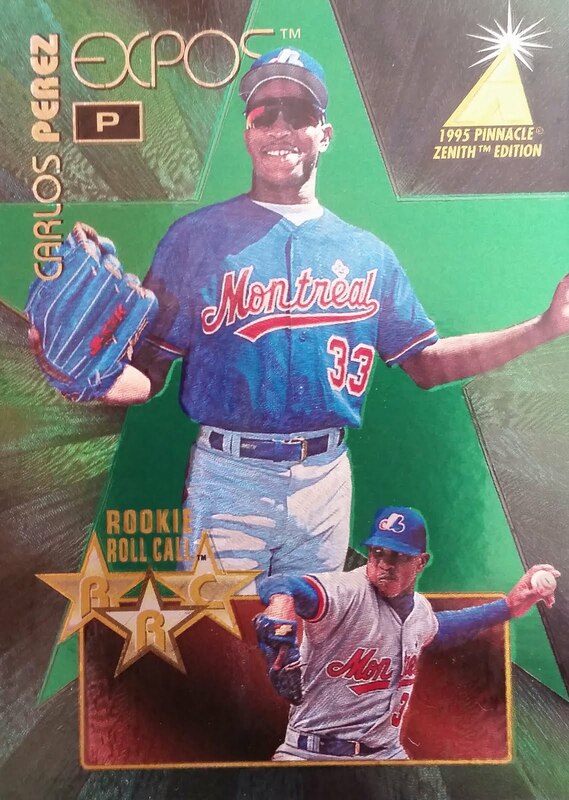 I, for one, have slowly been losing interest in today's base card sets besides a select few, but I have been chasing ones from the 90's. Finally, I think companies emphasize way too much on the hits. If they made a great product overall and not just focus on the hits in a product, the base cards would be better off and the hobby. They are called base for a reason, they are the base of a product. To me they are the center of a product where the hits shouldn't be anything but a bonus. It seems that has become forgotten. You can't grow a apple tree without it's roots can you? Yes, it has nice fruit, but if you don't have it's base you won't have the fruit. ALL of the tree matters just like ALL of the cards in a pack. Treat them equally and build a nice overall tree because the fruit can only grow if it has it's roots. 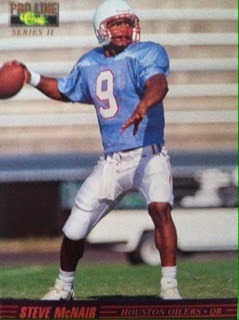 Many of you will just say, well, it's not the 90's anymore and times have changed and that I am stuck in that era. Well, to answer that, yes I am. That was the era I grew up collecting in and enjoyed the most. It was also a time when people in my area were collecting and were into it big time. Most now just try to get rid of the cards calling them a waste of space. Which isn't a bad thing as I have found some tremendous deals, but at the same time there are no collectors left because of it. I think it's mostly because there are not many good OVERALL products anymore and just too many hit filled products. Hits also mean more costly products. If you can't see the difference in the base cards, I would be surprised. Overall, base cards will continue to hang around.........for now. But, at some point companies may decide to cut costs a bit more and just focus on hit only products. To me, that would be a very sad day in this hobby and hopefully not something we will never have to face. I think that would be another death blow to the hobby. A death blow I am not sure the hobby could handle as many of the old time collectors might leave. 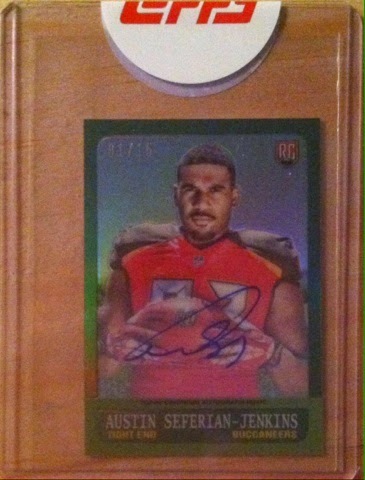 A few weeks ago I did a Breakin Wax on 2014 Topps Chrome and showed that my autograph from that box was a redemption. To my surprise, after submitting the redemption card, the card I pulled arrived. This was probably the fastest turnaround I have ever had for a redemption. 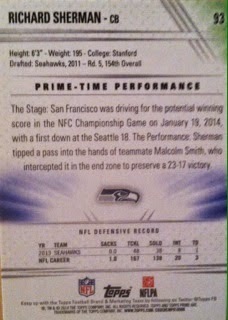 Outside of the player, this is a pretty impressive looking card numbered 1/15. It should fit nicely in my PC. Well, I can finally say I am caught up on things finally on here! So, I am switching to the one post a day technique as I think it would be easier for you guys and for me. Coming up this week is a Topps Chrome redemption mail day, my opinion on base cards in the hobby, a NEW 90's Flashback Card, NEW PC Masterpiece, Hobby Topic, Caption This and more!! I am expecting a few mail days to show off as well. Hope everyone has a great week and happy reading! 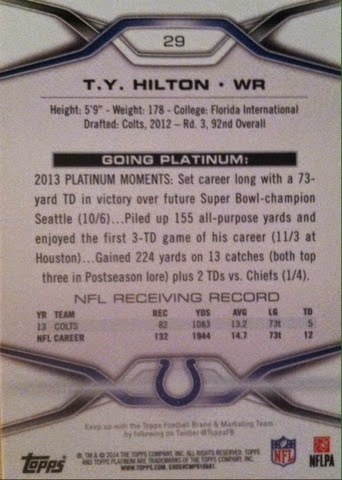 Other than Topps Chrome, one of the other great retail buys for football is Topps Platinum. 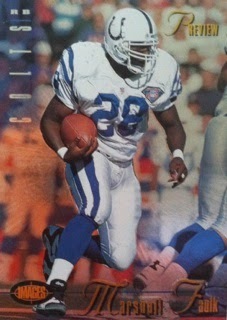 I have had good success in the past with hitting autographs in rack packs and blaster boxes. This year was no different. 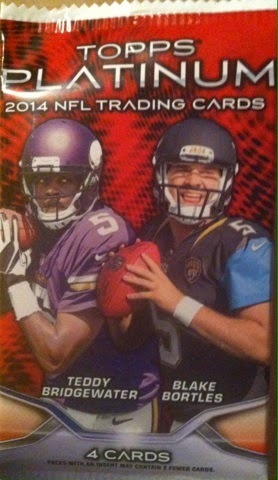 In each rack pack of 2014 Topps Platinum football are 4 packs. 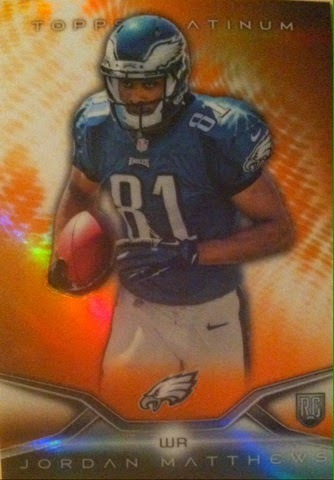 Three packs of Topps Platinum with four cards per pack and one special 3 card pack of all Urange Flame parallels. Each rack pack is roughly $10. 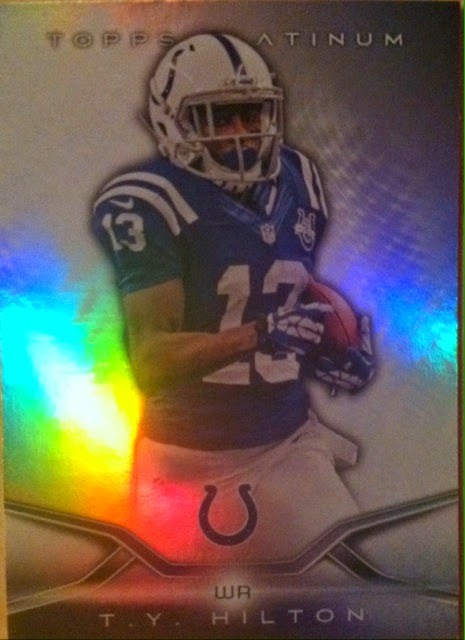 As always the base cards look nice with the rainbow foil. 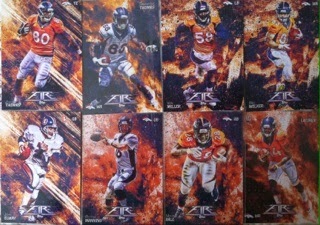 And once again the rookies are done in rainbow foil on a chrome surface. I got two good ones in my packs. And third pack in, I pulled this.....once again an auto hit! Overall, I can't complain. A few good rookies, some parallels and an autograph pull. Nothing too big, but enough to warrant another possible buy. 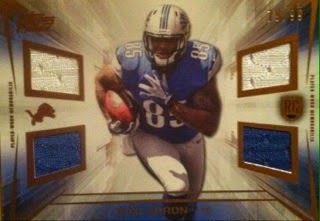 Topps Prime has been a product I have wanted to try for some time now. I have picked up some retail before and the thing that catches me every time is the amazing photography. 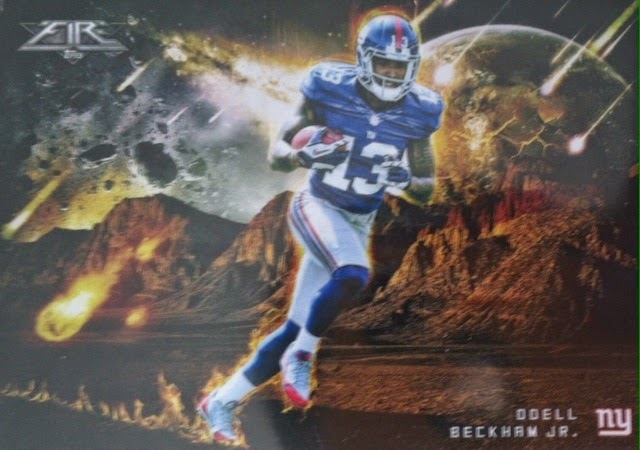 Topps doesn't usually do a lot with photography focused products as a lot of their products are based around artistic or border laden base cards. 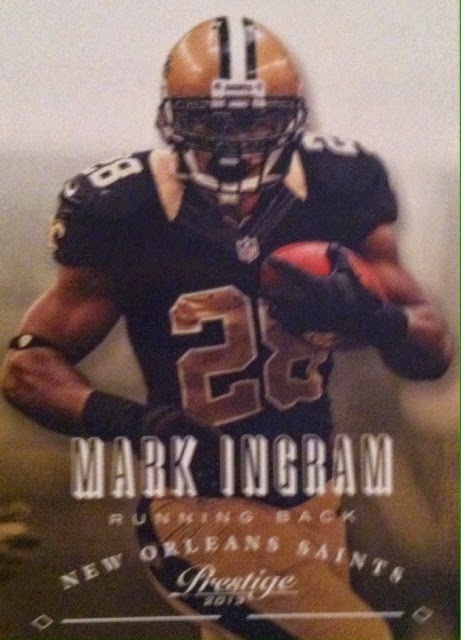 But, these cards show if Topps actually did more photography focused products, they could do a great job. I don't have a box pic for this post but will give you the run down. 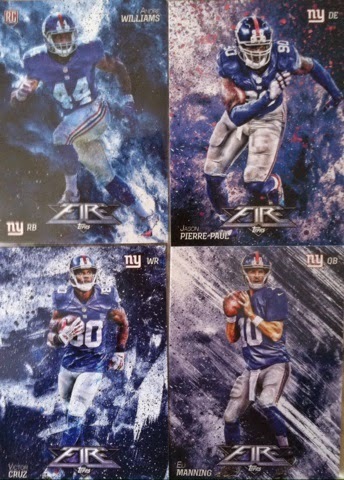 Each box of 2014 Topps Prime football comes with 10 packs per box with 6 cards per pack. Each box is roughly $60 and comes with 4 hits per box. Like my opening statement about the product, the base cards are simply amazing. No border, little writing and full bleed photography. Each one captures a special moment in a game. Just check out this Richard Sherman. Even the rookies are impressive. Yes, they are not game shots, but they look really nice. 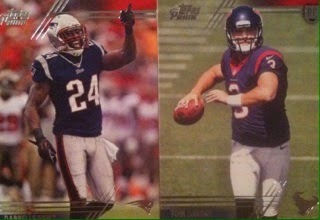 Here are two photo Sp variations I pulled in my box. One rookie, one vet. Inserts. These I didn't care much about. Two bland. The Primed Rookies were okay. Second hit. Cooks from what it appears patch. I was at first thinking mustard stain because of the size but I suppose it's a swatch. I like that they used the nice photographed base cards for these but you have got to increase that swatch size up some. 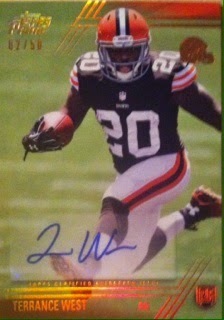 Copper autograph parallel. Once again a guy I have seen multiple times in my boxes in 2014. 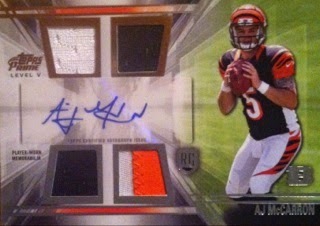 And speaking of a guy I have seen many times in my boxes...here comes AJ again! I hope this guy is the next Brady. I mean, I have four or five autographs of his now and been on a streak of him recently. If he had been a Giant, I wouldn't have cared as much lol. But, I just don't see him getting a chance in Cincy. 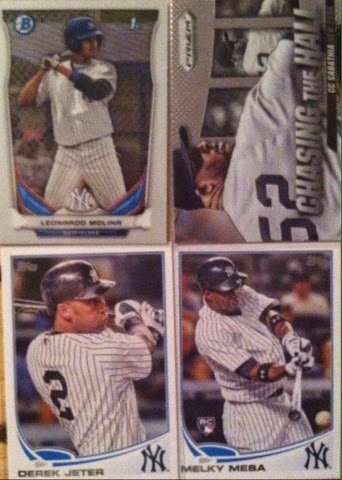 Overall, other than some nice base cards, nothing too special here. My hits were poor in my opinion. They do look nice, but they were poor. However, that doesn't turn me away from the product as we all have those off boxes. With a decent price, a strong rookie class and four hits in a box, I will definitely go back if I get the chance to again. My FIRST 90's Rainbow..COMPLETE! MUST SEE! Best Panini Rewards Mail Day Yet! Got 70 Randles...And An Auto Ain't One! 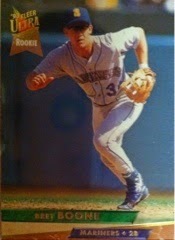 PC Masterpiece:1994 Topps Ken Griffey Jr.
MY NEW CHROME RAINBOW PLAYER REVEALED!